Have you done the Konga? 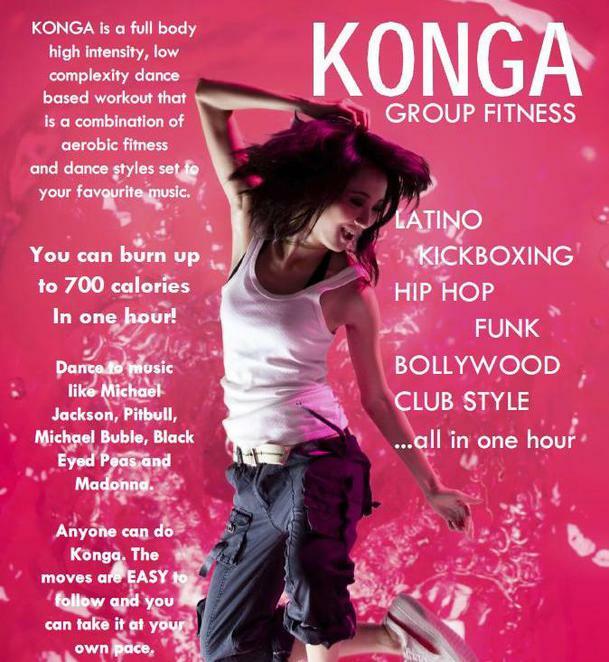 Move over Psy, it's time to gyrate your body and groove to the great new dance fitness of Konga. It's a mix of air boxing and dance styles from Zumba, belly dancing, rock and roll to a form of line dancing. Konga provides a great all-of body work out that is very aerobic and mentally rewarding with the beat of the music. I decided to have a Konga work out one Sunday morning at my local gym, Fitness 4173 gym in Tingapla, one of the first in Brisbane to hold Konga classes. The group was small due to Father's Day and the Bridge to Brisbane but instructor Kozzy gave it all for the intense but 'enjoyable' work-out that followed over the next 45 minutes. It's claimed that a Konga class can burn over 700 calories so that justified the fried breakfast and latte afterwards…or not!! Fitness 4173 gym in Tingalpa is a great community based and family owned fitness centre that combines the hands on management of its dedicated staff with modern equipment. And its set in a building that feels it's belongs in the community as it has for over 25 years. The centre is situated at 1604 Wynnum Rd just up from the Wynnum and Manly Road junctions and opposite the new Coffee Club who are opening their first drive-in operation in Brisbane. Check out the Konga class times at the Fitness 4173 website or Goggle classes in your area. Fitness 4173 offers a casual member rate of $16 and a range of other memberships.